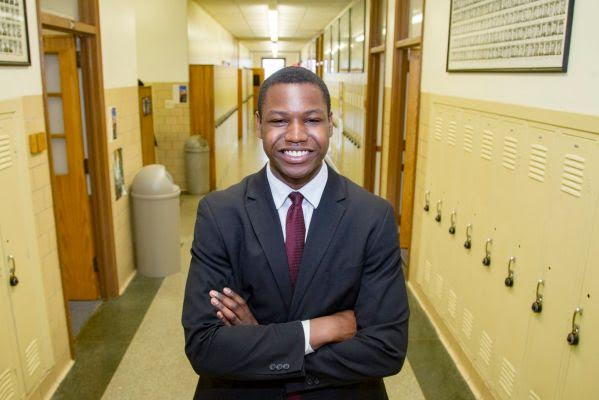 Again Another Nigerian Teen, Jude Okonkwo Accepted To All 8 Ivy League Schools! The son of Nigerian immigrants, Jude Okonkwo was accepted to all eight Ivy League schools, joining a growing club of Nigerian teens who have achieved the distinction....Ifeoma White-Thorpe (class of 2017), Olawunmi Akinlemibola (class of 2017), Augusta Uwamanzu-Nna (class of 2016), Obinna Igbokwe, Harold Eke (class of 2015). The 17-year-old Chaminade High School will have his pick of the elite schools — Brown University, Columbia University, Cornell University, Dartmouth College, Harvard University, Princeton University, the University of Pennsylvania and Yale University — and must decide where to enroll by May, 1, 2017. "I’m so grateful that, after all of the work I’ve put in, I’m able to reap the benefits as well — and that all those who have helped and watched me see that hard work has truly paid off," said Okonkwo, who hopes to set a good example for his four younger siblings. Okonkwo, the son of physicians, aspires to be a neurosurgeon and looked for schools with strong science and medical programs, including those with a combined bachelor’s degree and medical school acceptance. His unweight grade-point average is 98.9. He also was accepted to Howard University in Washington, D.C.; Johns Hopkins University in Baltimore; Northeast Ohio Medical University’s baccalaureate-medical degree program; Stony Brook University; University of Missouri; Washington University in St. Louis and Wayne State University in Detroit. He is leaning toward Harvard but received a full scholarship to Wayne State and generous financial aid packages from the other schools, he said, which will factor into his decision. “It was more of an ‘Oh, shucks’ moment than a boastful moment when he got accepted. 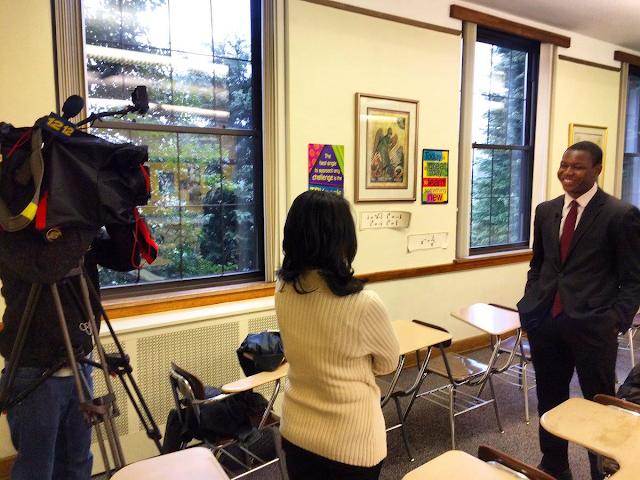 He’s a very unassuming person — you almost had to pry the fact that he got into all eight Ivies out of him," said Daniel Petruccio, assistance principal of guidance. Petruccio said this is the first time a Chaminade student has swept the Ivy acceptances since he started working at the school in 1999. Okonkwo’s parents, Ndubueze and Chinwe, emigrated from Nigeria in the 1990s and settled in New Orleans. They lived in a two-story home in Harvey, in Jefferson Parish, on the west bank of the Mississippi River. In 2005, when Jude Okonkwo was 7, Hurricane Katrina forced them to evacuate. Okonkwo began second grade on Long Island and remembers the experience well, he said, detailing it in one of two essays he wrote as part of his college applications. The 6-foot-2-inch teenager runs track and is president of the Glee Club, a member of the school’s global chamber ensemble, editor-in-chief of the literary magazine and news editor of the school newspaper. He also has a self-published book of poetry. 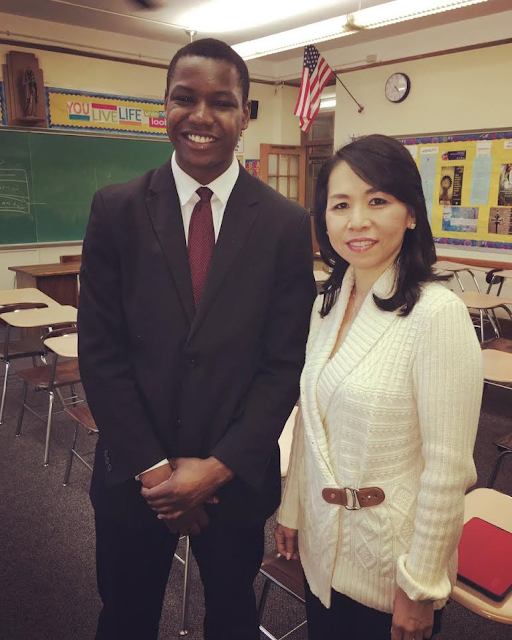 Outside of school, Okonkwo plays the piano and clarinet and has been a member of the children’s choir at St. Matthew Roman Catholic Church in Dix Hills for a decade. From time to time, he is pulled into a pickup game of basketball. For the last two summers, Okonkwo worked as a lifeguard at the Town of Huntington pool. His interactions with people in his community, along with his love of humanities, confirmed his desire to pursue health care, he said. 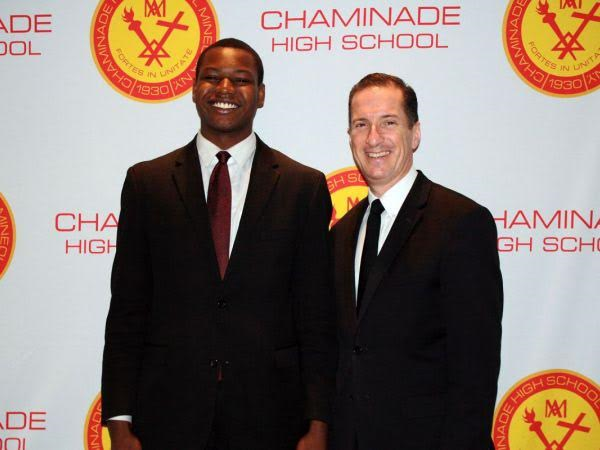 “Jude is a model Chaminade man — a man who does the right thing at the right time because it’s the right thing to do, regardless of who is watching,” Brother Thomas Cleary, Chaminade’s president, said in a statement.